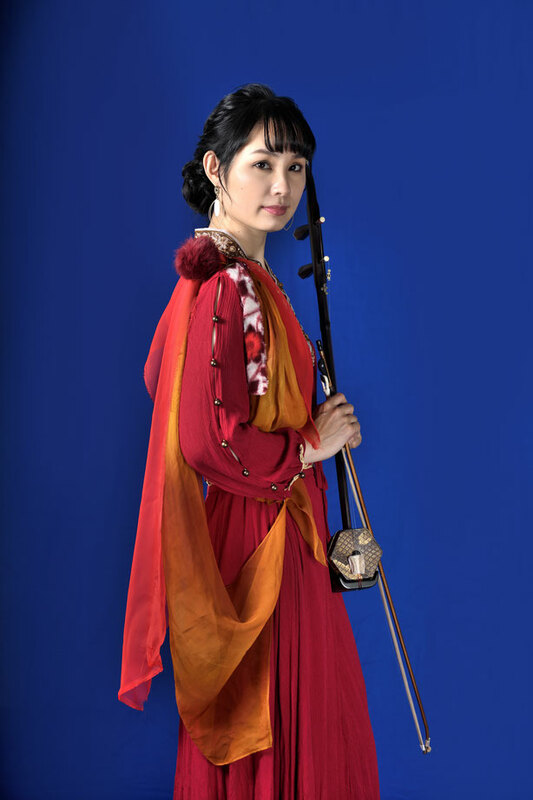 Kanae Nozawa, who once had a chance to touch an erhu (Chinese stringed instrument called Niko) as casted as an actress playing a role of erhu performer at a theatre play of drama, fatally happened to meet ehru then and got fascinated with the nature of the instrument, and ever since then she started her great career of erhu player. Her characteristic and glamous tone that she plays attracted so many listeners and touched their hearts with poetic inspiration. At January of 2007, she released her debut album from major record company as of the very first erhu player in Japan.And her performance was reviewed and highly rated as if it was human singing. And also her gifted and stunning song writing ability with full of originality and highly attractive stage performance has been supremely favored and has made the popularities among wide range of generations in the world, and her splendid singing talent emphasize her presence strongly as well. She made a great success at concerts in Taiwan of 2009, in Shanghai of 2010, and in Helsinki of 2018. In July of 2004, her fifth original album called "Planet" was released, which was produced by Japanese Academy Award winning composer Tamiya Terashima. And in this album, she had collaborated with world famous bagpipe player, Carlos Nunez, and Finnish Composer Niko Pihlaja who wrote an original song exclusively for this album. As follows, she's been positively and intensively creating the opportunities of music production with overseas artists and broaden new horizon in the world of the international music. Copyright(c)2007-2019 kanae nozawa All rights reserved.